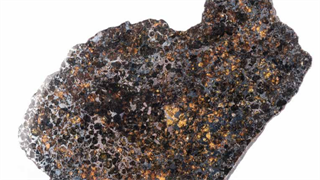 A Stephan Welz & Co auction in Cape Town on Tuesday and Wednesday features some expensive – and unusual – furniture. A desk valued at R300,000 and an "egg chair" valued at R150,000 did not meet their reserve prices. But a sofa in the shape of a pair of lips, and an unusual chair, did find new homes. 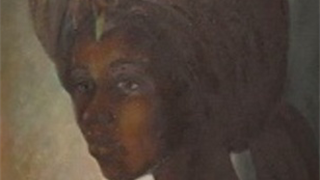 A "fine art and design" auction by Stephan Welz & Co in Cape Town on Tuesday and Wednesday offered, among the more usual goods, some unusual and expensive furniture. 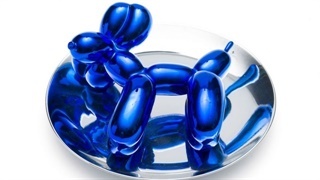 Two striking contemporary pieces found new homes – but high-priced antiques amid the 555 total lots did not meet reserve prices. Here is what sold – and what didn't. 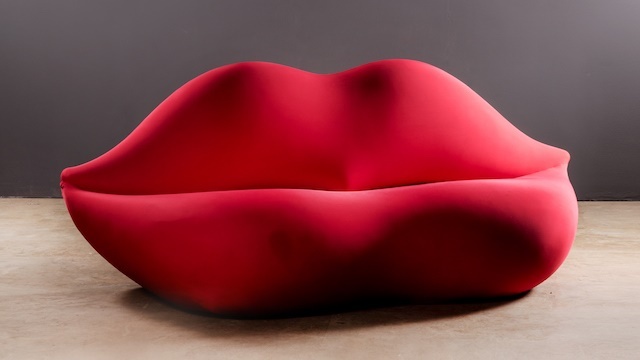 Sold for R70,000: a sofa inspired by Marilyn Monroe's lips. The Gufram-made Bocca-lips sofas were first designed, by Studio 65, on inspiration from Mae West. A later update was in honour of Marilyn Monroe. Sold for R35,000: a woollen throne. 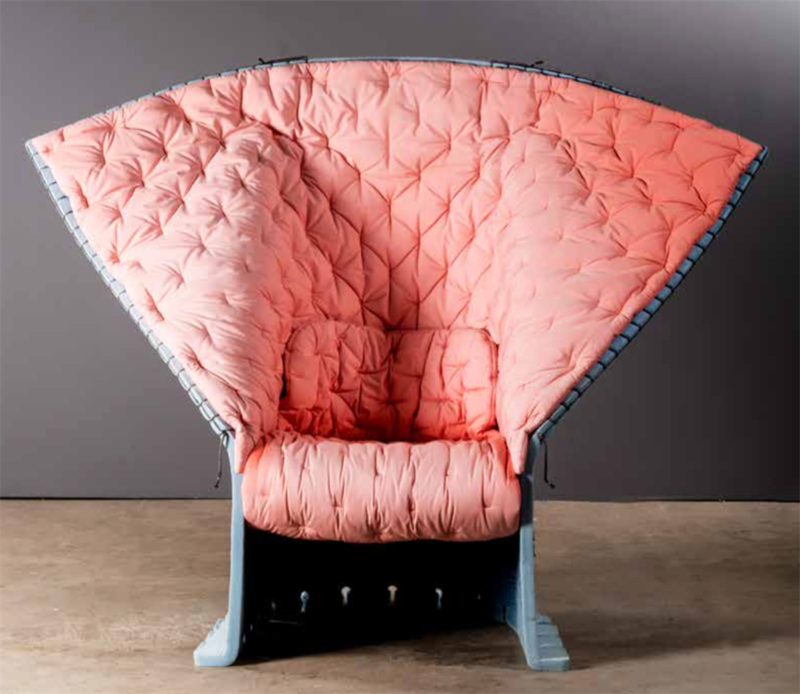 The post-modern Feltri chair reminds of a throne, but is cushioned by a quilt, and apparently quite comfortable. 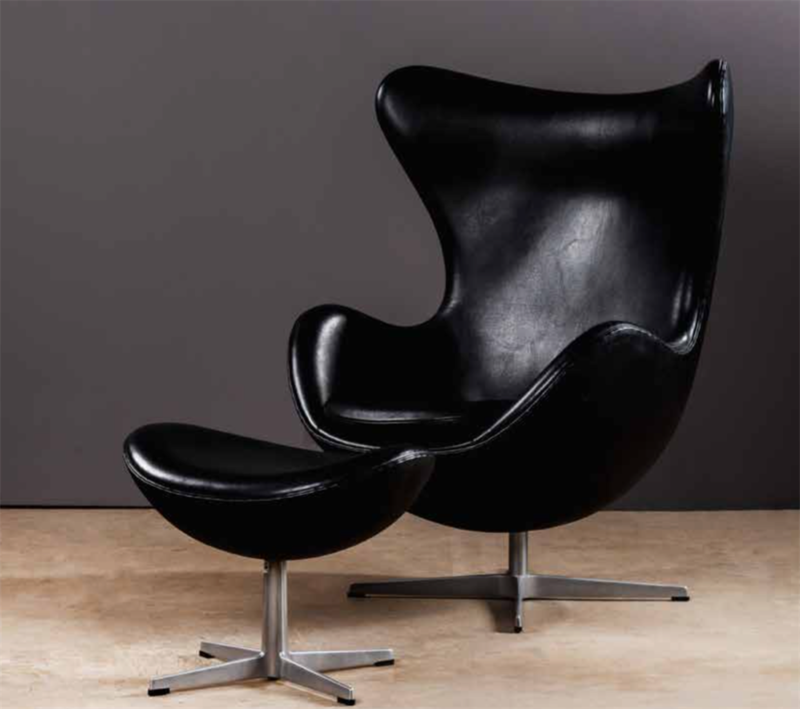 Not sold: an egg chair and Ottoman, estimated value up to R150,000. The 1958 design by the legendary Arne Jacobsen is the forbearer of egg chairs still popular today. It did not meet undisclosed reserve price. 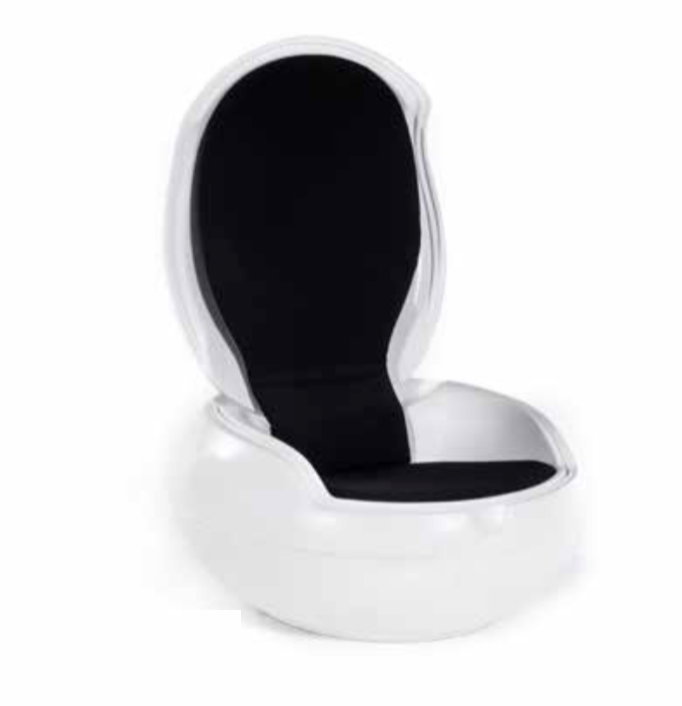 Not sold: a "garden egg chair", estimated value up to R15,000. This 1968 design by Peter Ghyczy did not meet the reserve price either – despite its hinged-lid addition to the egg-chair concept. 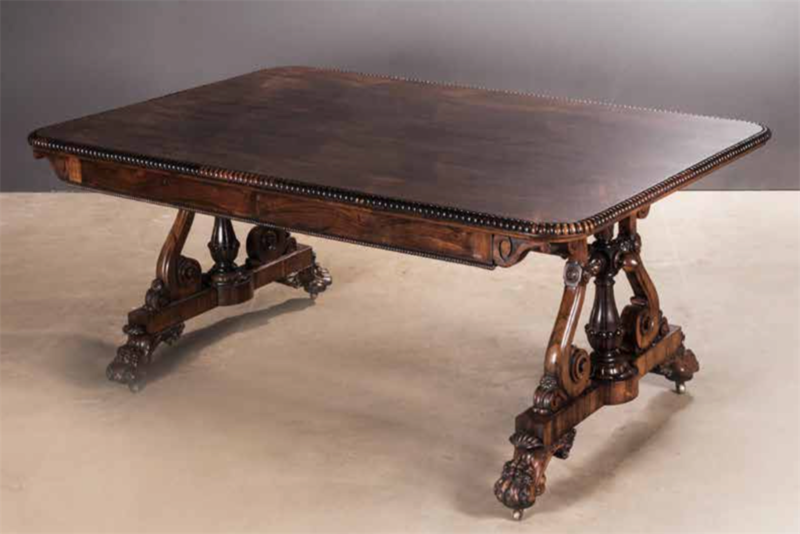 Not sold: a rosewood library table, estimated value up to R350,000. The table is of rare Irish rosewood and from Williams & Gibton, famed and popular at auctions – but did not meet the undisclosed reserve price. 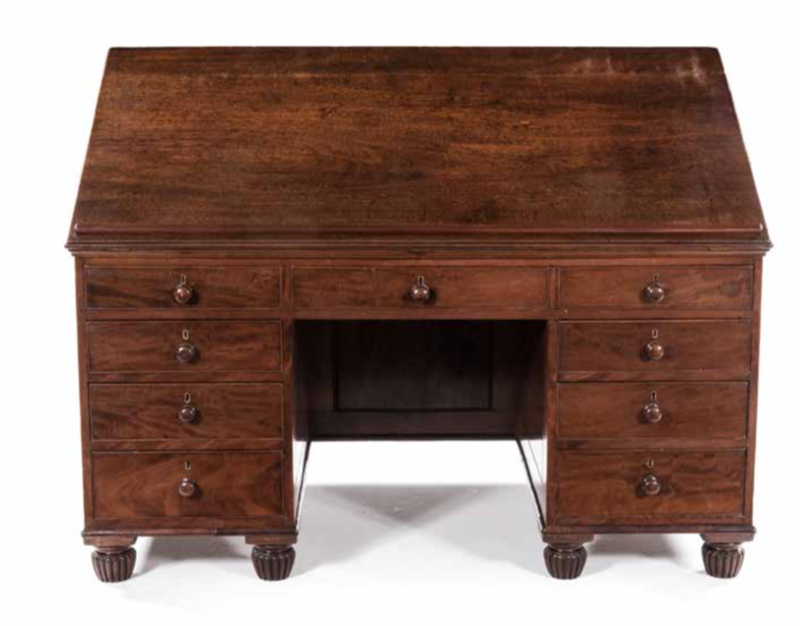 Not sold: a mahogany architects desk, estimated value up to R150,000. The desk is considered a good example of the work of British cabinet-makers Gillows, but did not meet the reserve price.